Two recent posts from Midcourse Corrections on leveraging content marketing and face-to-face events as part of a content marketing strategy, helped me visualize trade shows as content. As such, trade show organizers can begin to think about new ways to market their events and build their communities by becoming content curators, viewing their exhibitors as content producers, and positioning the live event as the “product” being offered for sale. To adopt this line of thinking, exhibition producers must take one very big leap of faith by believing that the distribution of exhibitor content outside the framework of the live trade show will NOT diminish the value of the face-to-face event (the old “why buy the cow if you can get the milk for free” adage) and will, in fact, drive attendance and exhibitor participation at the live event. In the “tradeshows as content” strategy, exhibitors are reservoirs of content, filled to the brim with product brochures, white papers, product demos, press kits, video tutorials, and sales presentations. Organizers curate, and re-purpose these sales pitches into a continuous flow of solution-generating, idea-sparking, and valuable content that sells registrations. The concept of exhibition organizers as content curators isn’t new. A decade ago, trade publications, owned by or in partnership with the exhibition producers, filled the role of curators by pushing exhibitors and attendees to the live event with ads, case studies, and editorial. Today, event organizers have transcended print magazines (in many cases) and moved to other more profitable or far-reaching platforms for exhibitor content distribution: virtual trade shows, Webinars, online publications, blogs, and mobile apps. This move has solidified their positions as curators. Create an online (accessible, searchable) resource library of exhibitor white papers, ebooks, case studies, how-to articles, and video tutorials. Appoint a content marketing officer to sift through exhibitor content and re-shape the resources to meet the needs of the audience. 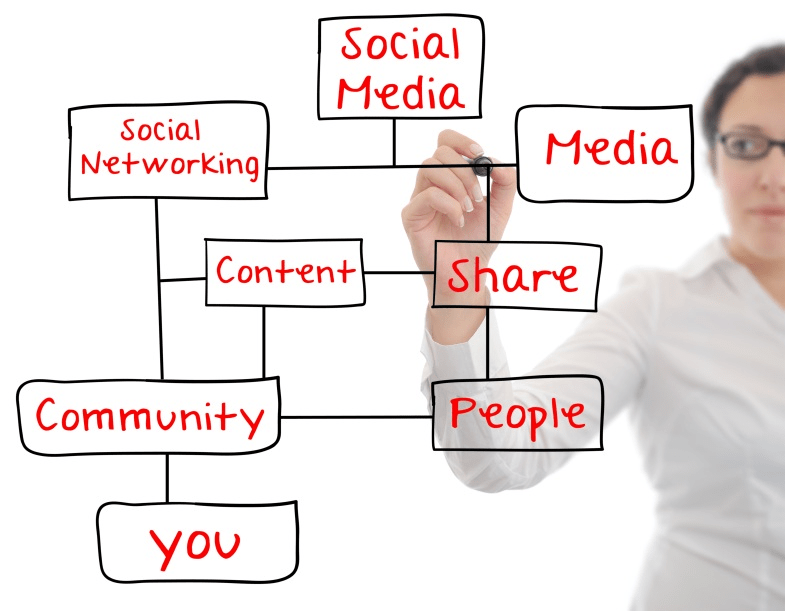 Make all of the content shareable on social media channels. Stop selling the event and start sharing the information. Create a steady (daily) flow of content accessible through one portal—the organization’s blog. Ask exhibitors to guest blog. Develop an editorial calendar that covers content from all of the market segments the show covers. Send frequent emails of curated exhibitor content (links back to the show blog) to an opt-in list of recipients. Highlight and promote content that exhibitors have created and posted on their own websites through the show blog. Take the content marketing to the trade show floor, as Jeff Hurt suggests, by asking exhibitors to demonstrate how they are innovators and providing more informal education on site. With all content marketing initiatives, there are benefits when the program is executed well. Content lives on after the live event concludes. Good content brings good SEO to the organizer’s website. Using exhibitors as resources helps create a pipeline of content that organizers won’t have to develop from scratch. Exhibitors receive additional exposure and niche content positions the event organizer as a central resource for information on a market segment—the Holy Grail for associations and independents. Oh, and it sells more product, i.e., registrations. The Takeaway: Not all exhibitors and sponsors will have gotten the “share, don’t sell” memo about content. Organizers will have to provide guidance and work with them to convert their traditional sales pitches into desirable content for potential attendees; however, this extra effort can be monetized. That said, organizers have two choices: they can charge exhibitors for the curation service as part of a promotional package and realize some short-term benefit, OR they can go for the long tail (by not charging) and consider it an investment toward consolidating their communities of stakeholders and positioning their organizations at the center of the conversation year round. Interesting thought. It’s definitely a platform to provide information and a source of inspiration isn’t it? One problem we see is the anonymous event visitor, potentially lost contents, or contacts. Difficult but we’re moving towards a future were on- and offline merge. Michelle, thanks for building on the thoughts from our posts! In our opinion the train has already left the station. Attendees don’t want the heavy handed sell, they want solutions. We’ve morphed from a world of always be selling, to always be helping. Well thought out content marketing builds trust that leads to sales and referrals. It’s a great idea for show organizers to help educate and get exhibitors on the band wagon. There’s a ton of learning to be had on the show floor! Thanks Philip and Dave. I see a lot of trade show organizers blogging about their organizations, their show features, their staff members having new babies, etc. which is all very nice but who wants to go back to that blog over and over? I see the exhibitors and conference speakers (for that matter) as a treasure trove of content that can be used to market the show and grow the community. Plus, you said it, “There’s is a ton of learning to be had on the trade show floor.” Who is capturing that content? Hey there, thanks for the article. It was incredibly interesting .